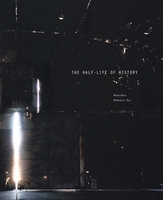 Hardcover, 12 x 15 in. / 106 pgs / 75 duotone. Mark Klett has been photographing the deserts of the American West, in particular the beauties of the Sonoran landscape--a desert that sprawls across southern Arizona and northern Mexico. Along with coyotes and tumbleweeds, saguaro cacti are one of the most recognizable (and stereotypical) features of this region. 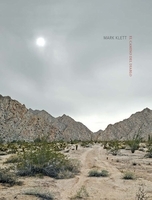 Klett's portraits of these giant desert plants are straightforward and frontal. 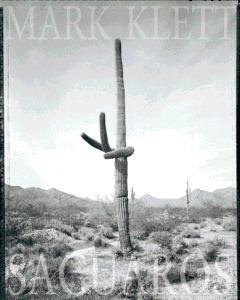 Klett is known for teasing out the implications of man's presence in the environment: here, vital young saguaros, middle-aged contenders with gunshot wounds and wizened elders are treated as worthy inhabitants. This beautifully produced volume, featuring 40 deluxe tritone images, presents a selection of Klett's most evocative portraits with an essay by acclaimed writer Gregory McNamee. FORMAT: Hbk, 12 x 15 in. / 106 pgs / 75 duotone.